Kids and their traveling parents or distant relatives can draw together in a shared space by using this app, which also provides a free telephone call. While a little buggy, Drawing Together! is a great way to connect with loved ones over shared art. 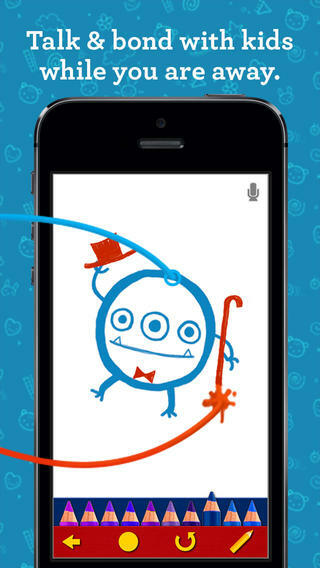 This app lets kids share real-time drawing activities with a family member during a live call set up from inside the app. Both parties need to own the app, and they connect within the app by sharing a unique code outside of the app. Once inside, the clean interface offers blank sheets on which to draw, as well as 28 coloring pages featuring kid-friendly themes. 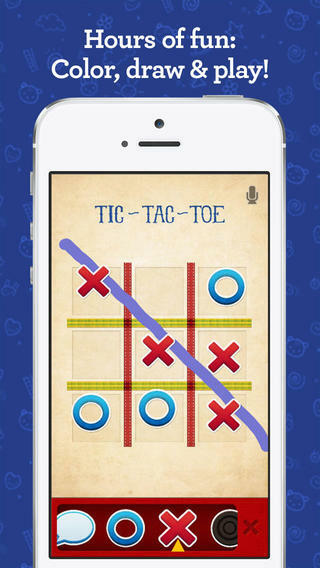 There are also six paper games, including Tic-Tac-Toe and Dots and Boxes. Either party can select what to jointly color while talking. Easy-to-use crayons, colored pencils, and stickers appear on the left. 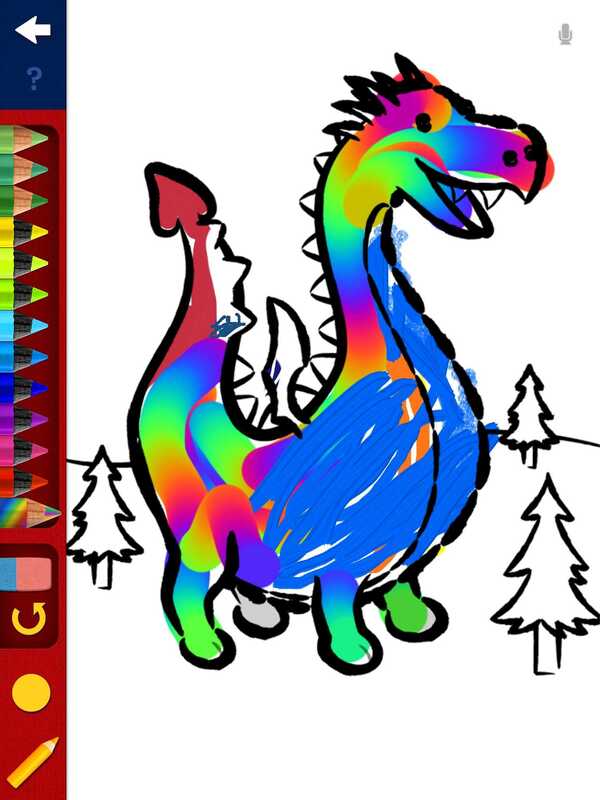 Additional coloring packs are available as a $.99 in-app purchase. Drawing Together! worked well once I got it to connect to others, but sometimes it took several tries to connect. It can work using WiFi or cellular, but it needs a strong connection. Also, the app is a little buggy about recalling artwork or games already started. Sometimes you can bring a started masterpiece back up into the shared space, and sometimes you can't. Even with these issues, this app is worth exploring. Drawing Together! is a great way to connect with loved ones over shared art. Drawing Together! 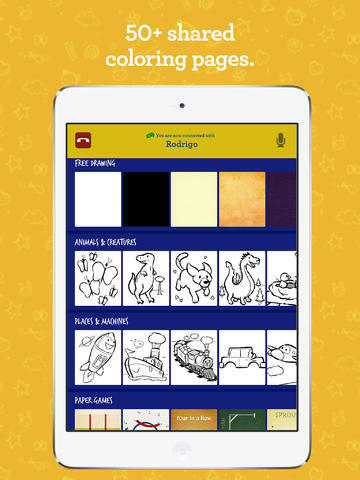 provides families with a way to color together while talking. It is a good app to use when you are trying to connect with young children. The coloring activity holds their attention so that you can talk to them while you both draw jointly together.